With quick loading and automatic maintenance, you can respond fast—and keep costs low. Address production peaks in-house. 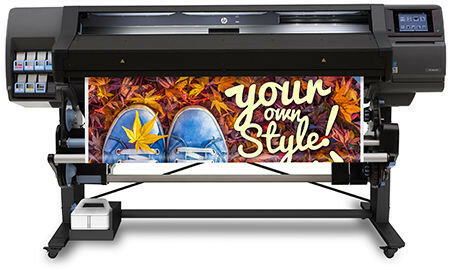 Get vivid, consistent day-one image quality throughout the life of the printer. With quick loading and automatic maintenance, you can respond fast—and keep costs low. Achieve high quality on low-cost banner and vinyls with the wiper roller. Double your workspace by doing all tasks from the front of the printer, thanks to the spindleless pivot table. Cut 2 to 3 hours per month on maintenance and optimize supplies usage with ink prediction utilities.